With decades of estate planning experience, Mark is dedicated to accomplishing his clients’ unique estate planning and business-succession planning goals through the use of the most effective and tax-advantaged planning methods available. Mark represents executors and trustees in the administration of estates and trusts, serves in these fiduciary capacities himself, and represents beneficiaries of estates and trusts. Mark represents fiduciaries and beneficiaries in controversies involving trusts, estates and related tax issues. 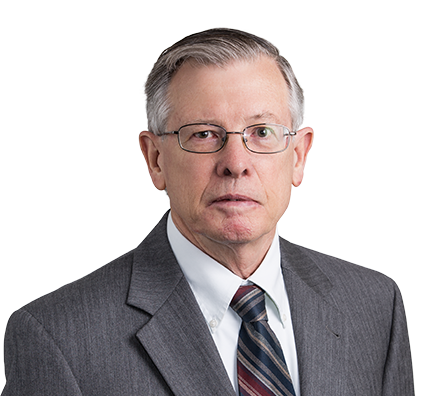 He has represented individual and institutional executors and trustees in trust reformations, nonjudicial settlement agreements, contested trust accountings, contested federal estate tax examinations, and will and trust contests. As a related part of his practice, Mark deals specifically with all estate and gift tax, generation-skipping transfer tax, and fiduciary and individual income tax aspects of estate plans and trust and estate administration. Instrumental in the implementation of the trust business of a brokerage-related trust company offering nationwide trust services.